Did you know the Flying Christine III has a little sister? 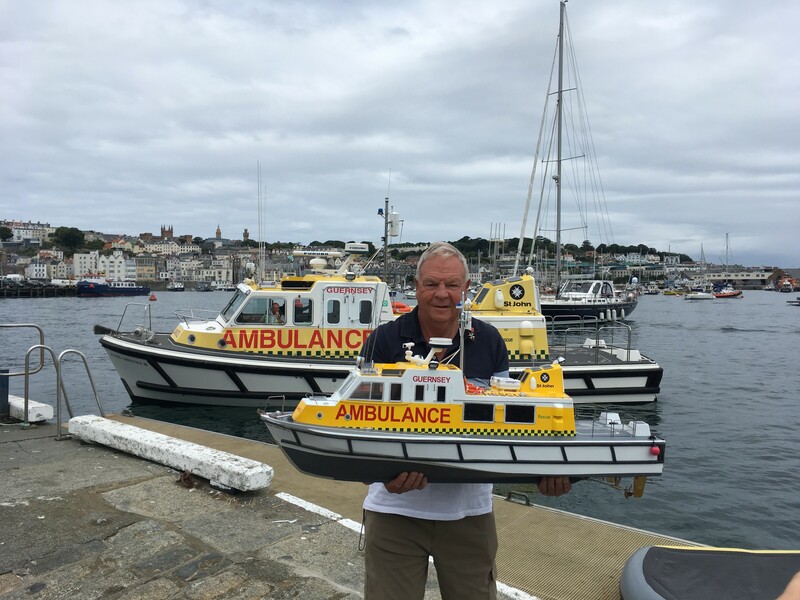 The 45 inch version of the St John marine ambulance was made by former Guernsey resident Peter Rutsch and is a 12th-scale replica of the real thing. 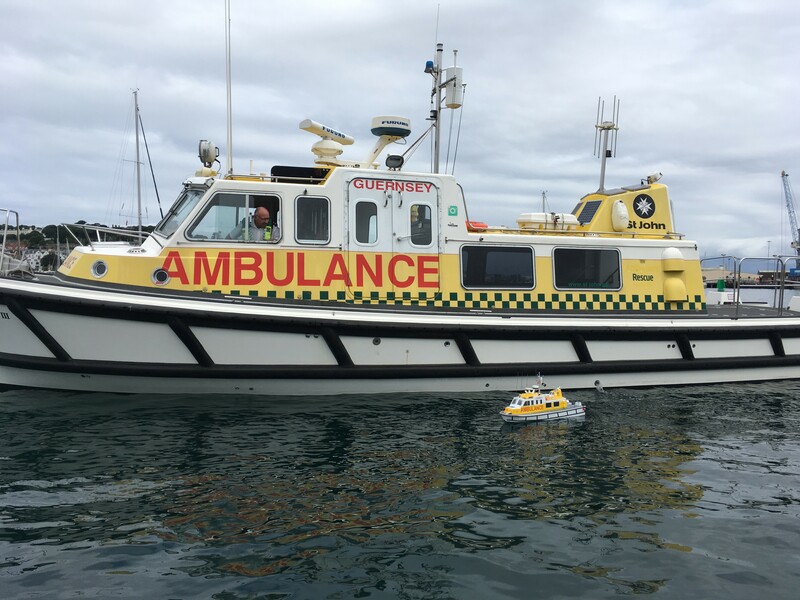 The working model which took more than two years to build has all the same markings and features as the full size marine ambulance. Mr Rutsch who was born at Cobo, but now lives in South Wales, said he’d always liked the Flying Christine. “Ever since I was little boy I was inspired by the Flying Christine, be that one, two or three. I remember them all. When I retired I started making my own model and I try to keep it as much as possible like the real thing”. 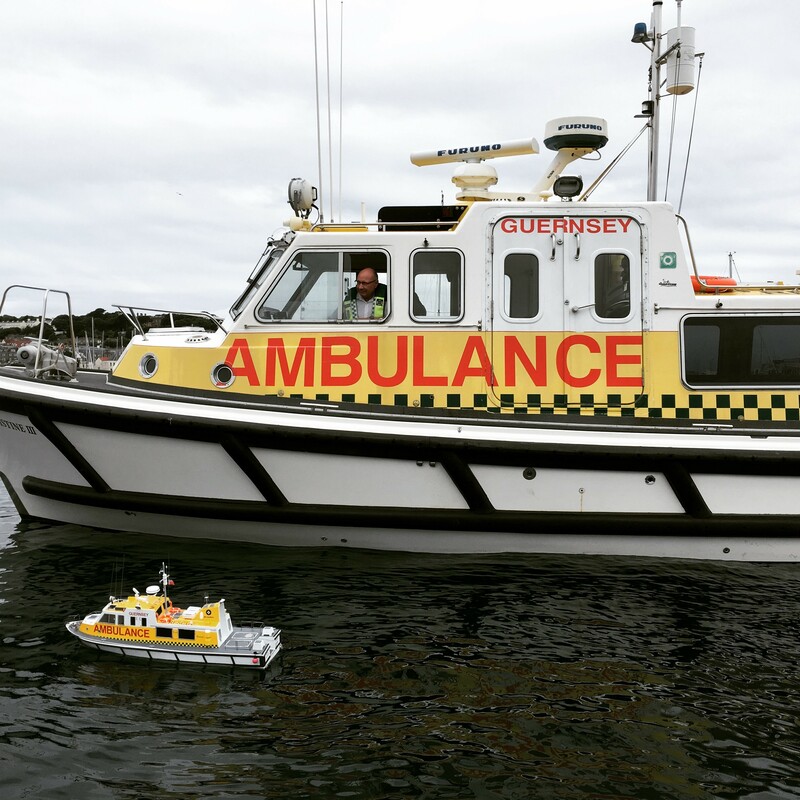 During a summer visit to Guernsey Peter had the opportunity to sail his mini model alongside the bigger boat. “This is a dream come true” said Peter. Not only was it the first time the two boats had met, but it was the first time the model had sailed in the sea!